I actually bought Another Place and The Sister for myself in the Works, on 2 for £5. I've read In Bloom by Matthew Crow so thought I would give this one a go too. 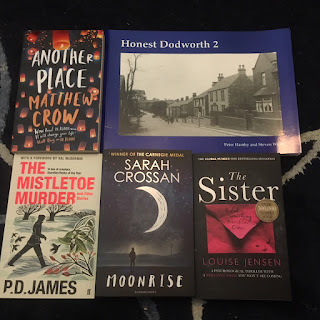 My friend Laura bought me Mistletoe and Murder, which I'm excited about as I'm not sure I've ever read a P D James book even though I grew up with lots in the house. My mother-in-law bought me Moonrise; she'd asked Lee what book I'd like and he saw this on my wishlist. I really love Sarah Crossan so I'll have to read this one too. Then the final one is about the village we live in, it's a self-published kind of thing off a stall in Barnsley market. I haven't fully looked through yet so there might be a picture of my 115 year old house! 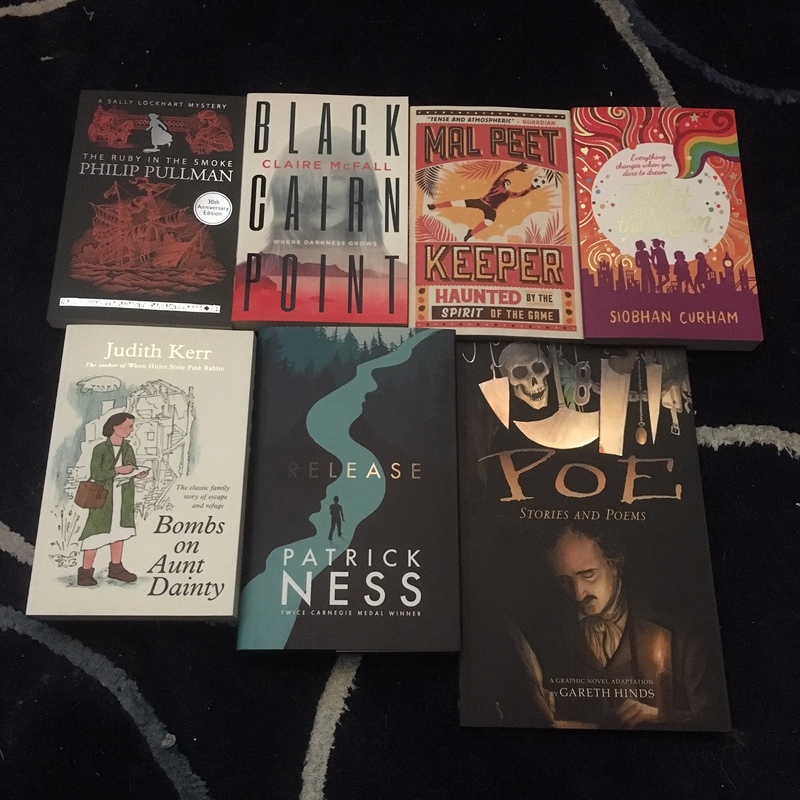 I have to confess I bought all these books for myself! Wordery was having a sale before Christmas and I got all of these plus one more for just under £40. Bargain! I've heard loads of good things about the Philip Pullman book so I took a chance on it. Black Cairn Point looked really intriguing and was like £2.50 so it dropped into my basket. I've heard good things about Mal Peet so this one looked ideal to start off with. The premise of Tell It to the Moon intrigued me, again. I loved Judith Kerr when I was younger so I picked up Bombs on Aunt Dainty. 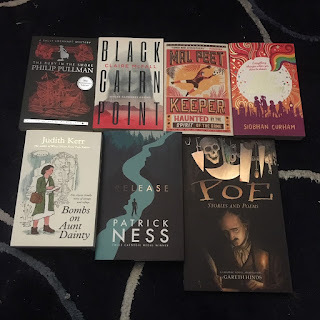 I own pretty much everything else by Patrick Ness, so buying Release seemed ideal.... although I've just had a nasty feeling that I already own it, whoops.... And finally - did you know I share my birthday with Edgar Allen Poe? It's January the 19th! So I thought I would finally read something by him, and this illustrated copy of some poems and short stories is absolutely beautiful!